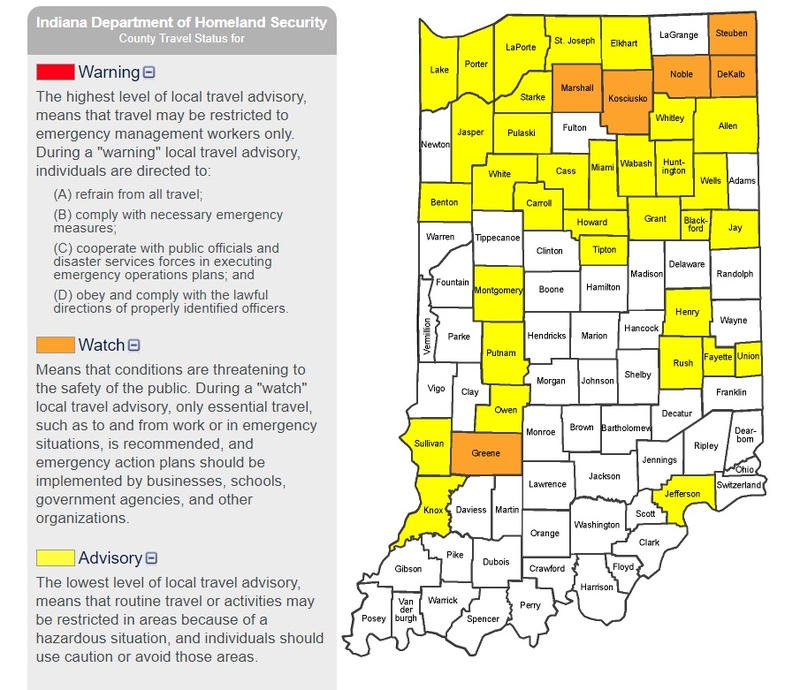 Steuben, DeKalb, and Noble Counties are all on an Orange Watch Travel Advisory. This means, that conditions are threatening to the safety of the public. During a "watch" local travel advisory, only essential travel, such as to and from work or in emergency situations, is recommended, and emergency action plans should be implemented by businesses, schools, government agencies, and other organizations.